One of the most notable features about NFPA’s code development process is that it is open and consensus-based. That means anybody can participate in the development of these important documents. 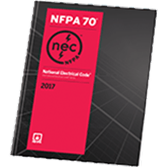 All NFPA codes and standards are periodically reviewed by more than 9,000 volunteer committee members with a wide range of professional expertise. A free guide to the NFPA standards process. Includes rules and guidelines, Technical projects and scopes, revision cycle schedules for processing Committee reports, and much more. Our free brochure, "An Introduction to the NFPA Standards Development Process" explains - step-by-step - how all NFPA standards are revised and updated every three to five years, in revision cycles that begin twice each year. 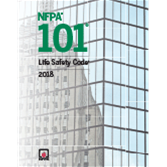 Protect lives and property with NFPA 101®: Life Safety Code®.